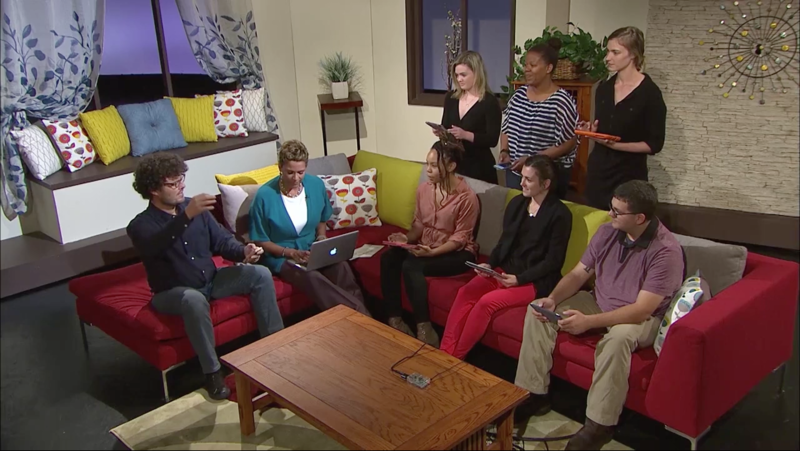 The episode from WQED’s TV Show IQ: Smartparent dedicated to Digital Artists premiered yesterday and is now available online here. In it you can see CEEMI’s creator Gil Teixeira leading the host and team of the show on a CEEMI Jam as well as as short demo of a few innovative musical instruments that came out of Gil’s Digital Luthier Workshops, among other interesting projects from amazing artists exploring the digital realm. Check it out!